Founder and president of Keuka Studios, Dan has a passion for great design. With over 30 years product development experience he is the driving force behind our design and manufacturing process. Jason truly loves his job. He enjoys supplying customers with a product and service that is beyond their expectations. Working with friends and family is extremely rewarding. There is a lot of freedom at Keuka Studios and with that he embraces the new challenges that allow him to grow, learn and explore. Jeanne is Co-founder of Keuka Studios and works closely with Dan on strategic issues regarding company growth. Jeanne manages Keuka Studios social media. Jeanne holds a Bachelor of Science degree from the Rochester Institute of Technology. It was Jeannes passion for Keuka Lake that inspired the name of the company and when shes not working you can find her at the lake. 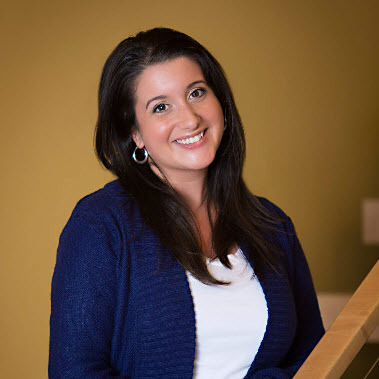 Erin is Keuka Studios human resources manager and a crucial part of the team. Her duties include administering payroll, processing paperwork, maintaining employee records while promoting equality and diversity within the company. A social butterfly that enjoys lots of contact with employees, customers and vendors. Ben has always had a strong passion for engineering. He works in 3D CAD to create shop drawings and realistic renderings for many of our railing systems and stairs. Ben is a graduate form Embry-Riddle Aeronautical University where he obtained his Bachelor’s degree in Aeronautical Science. He is continually honing his design skills to create products that define quality craftsmanship. Outside of Keuka Studios Ben is a high performance motorcycle and automobile enthusiast. Nick has been with Keuka Studios for over 8 years now and he feels that its been a great company to grow with as a craftsman. From machine work, welding, fabricating, and hand forging he does it all here at Keuka. Ingo has worked as a design engineer at Keuka Studios for over two years. Born and raised in Rochester, Ingo takes pride in working for a local business that has international clients. He enjoys the challenge of making detailed, custom designs for every client. Brandon Goetz is a skilled welder and fabricator. He's been a part of the Keuka Studios team for over two years and has enjoyed the business' venture into spiral and floating staircase production. Brandon is from Caledonia, NY. Outside of work, Brandon has a passion for racing which he has done since he was nine years old. Matt is from Batavia, NY and has worked at Keuka Studios for almost a year. As a fabricator, he enjoys working at a company that pays great attention to detail. Outside of work, Matt enjoys working on home improvement projects. Will Funk is a skilled fabricator and essential member of the Keuka Studios team. He enjoys working in a studio where he sees every project go from inspiration to completion.